What happens when you have injured your foot or ankle and need to take time off work? How long can you reasonably take off before your employer begins to suspect you’re “milking it?” When will you start to get guff from your insurer who no longer wants to cover the cost of treatment? When can you realistically expect to return to regular activities again? The answer all depends upon the extent of your injury, your body’s ability to heal, and the prognosis delivered by your health care practitioner. Of course, curious minds want to know! So here is an approximate timetable to help satisfy some of the lingering questions you may have following the initial treatment of common foot and ankle injuries. Soft tissue injuries may include damage to ligaments, tendons or muscles. Sprains, strains, contusions, bursitis and tendonitis all fall under this broad category. We’ll get into more specifics later, but generally speaking, 6-8 weeks is the minimum recovery time. Damage and pain may occur from a fall, car accident, or sudden twist during athletic activities. Following a foot or ankle sprain, you will need to immobilize the area in a cast or boot for at least two weeks, sometimes up to six. Afterward, there will be some stiffness and reduced mobility as you recuperate. Rest, ice, compression and elevation are recommended treatments to help the body heal faster. It’s still important to see a specialist in the event of a strain, so you can avoid these adverse outcomes. A general bruise caused by blood pooling beneath the skin can heal within two weeks. However, recovery time increases with the severity of the injury, so it can take a few months if there was a crush injury. 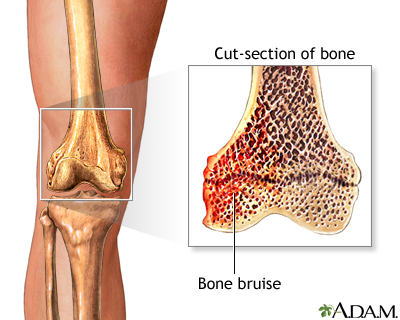 We have seen “bone bruises” take as long as a year to fully heal — which comes as a shock to many patients, but in reality the “bone bruise” is more like an internal microfracture within the bone. Unfortunately, aside from rest, compression and ice, there is not much you can do to speed the healing. Be sure to read our post specifically about bone bruise recovery. Fractures in the foot and ankle are generally slow to heal. A cast or splint is typically required for 6-8 weeks. Crutches are usually needed to keep weight off the injury. From there, you may be fitted with a special shoe — albeit, not the most glamorous footwear, but if Anthony Kiedis from the Red Hot Chili Peppers [pictured above] can rock it, so can you! It’s possible that surgery will be required if the bones do not align properly during this time. If that happens, you can expect another six to eight weeks of recovery time tacked on. Plantar fasciitis is often aggravated by work and long periods of standing, so rest can work wonders initially. Improved arch support and stretching can help considerably as well. Within two weeks of being treated for acute, stabbing pain, you should be able to return to work with slightly modified duties that may include less time on your feet. While most people are pain-free within 3-9 months, it could take up to a year to reap the full benefits of treatment. About 1% of sufferers require surgery and lengthier recuperation. If you are in the NYC area, do not hesitate to contact Dr. Geldwert directly for specific medical advice at 212-996-1900 or by email: https://live.healingfeet.com/contacts.php. We offer all the latest techniques and technology to speed up healing for foot and ankle injuries!